“WOW, im so pleased, I didn’t think my upholstery would get this clean again, amazing thank you” . In our upholstery cleaning service, we use a process known as hot water extraction and this is the way that most carpet cleaning and upholstery manufactures recommend. It is considered the very best way to clean the majority of upholstery items. We only use the best upholstery cleaning products. We Clean: Three Piece Suites, Sofas and Dinning Room Chairs. If its fabric we can clean it! Starting with a pre-spray we apply to the area in need of cleaning. This is done with a high-pressure spray, and the mixture contains eco-friendly cleaning solutions that separate the dirt particles from fabric. The solution we use is friendly to the environment and contains no bleach or detergents. 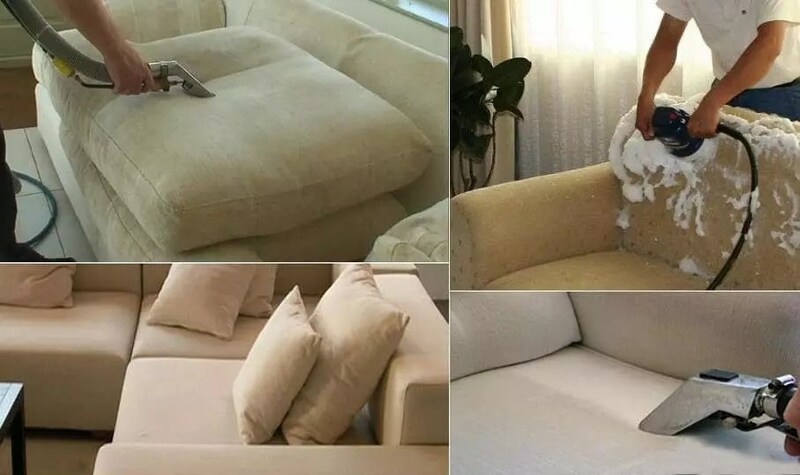 With this special formulation, we are able to clean sofas and chairs without leaving behind a sticky residue. That sticky reside actually causes the fabric to attract dirt, so we do all we can to avoid it. Then we agitate the pre-spray into the upholstery. We don’t use any abrasive brushes or scrubbing tools in our cleaning services. This helps make the dirt and dust particles loose and easy to clean off. We leave the solution for about ten to thirty minutes and give it time to do its job properly. We finish off with hot water extraction rinse. This is accomplished with a powerful cleaning device that washes and the entire upholstery. After everything is washed, it takes anywhere from two to four hours to dry it properly. If there are any stains remaining, we will treat them with the appropriate stain removers, followed by another cleaning. Cleaning upholstery is a complex job, and doing it properly takes professional training and powerful tools. If the work is not done properly, then the fabric can become damaged or stains can be made permanent. Our experienced upholstery carpet cleaners ensure that you get the best results possible. We caution those who need their sofas or chairs cleaned to leave the job to the professionals. We will transform your upholstery and make it look like new again.